Metal roofing is an impressive home investment. Property owners never regret having a professional install a metal roof on their home. Further, when compared to asphalt shingles, metal roofs last a lifetime. However, in order to help your metal roof last for years to come, there are a few things that you can do to protect it from the elements. For those who are thinking of having a professional DFW roofer install a metal roof on their property, here are three tips for protecting your roof after the installation process is complete. 1. Even though it is an unlikely event, there is always a possibility that your metal roof will develop a leak. To prevent this problem from happening, always fix leaks in a timely fashion, and never let potential problem areas get worse. Also, as a preventative measure, you should keep your gutters clean. If you suspect that you have a leak, contact a professional ASAP. 2. Let a roofing professional equip your roof with the strongest and most enduring vents, shutters, seams, and gables possible. Strong winds and rains will destroy porous shutters and gables. Talk to your DFW roofer today about installing hardware strong enough to withstand the most extreme weather conditions. 3. Schedule a regular roofing inspection to help detect potential problems. 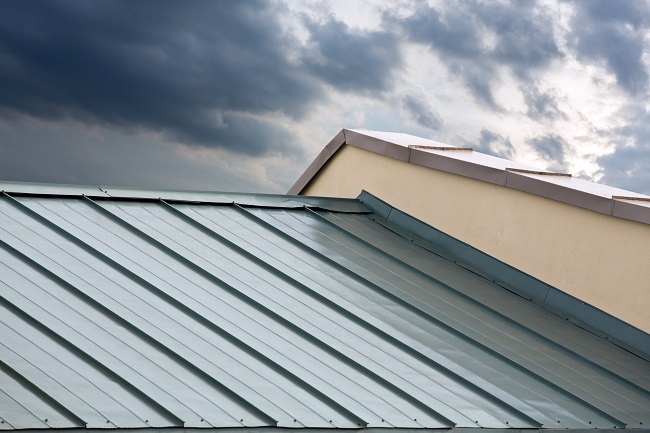 Metal roofs are durable and long-lasting, but regular harsh weather can damage a roof over time. A DFW roofing professional will examine your roof for flaws and will work with you on instituting a fix for all your roofing problems. If you are considering a new roof for your home or property, try a metal roof as a replacement. Metal roofs outlast most other roof types, and they often come with a minimum 50-year warranty. For additional information on how we can help you with your home or property’s roof, please contact us today to schedule a roofing estimate. #1 Is The Contractor Really Licensed? Don’t Take His Word for It. One of the most important facts to check for is whether or not the roofing contractor is licensed, but don’t take his word for it. Go the extra step to check his roofing license number to make sure he didn’t lie about being licensed. Each state has its own website where you can check roofing contractor licenses. The contractor only needs to be licensed in the state you need the work done in because building codes and regulations differ based on state. #2 Do They Have Workers’ Compensation Insurance? As unfair as it is, if a roofer is injured on your property and his employer doesn’t provide workers’ compensation insurance, you will probably be the one paying for his medical bills. Therefore, you should ask every potential roofing contractor if he has workers’ compensation insurance and ensure that every worker that steps foot on your property is covered by the insurance. #3 Does The roofing Contractor Have General Liability Insurance? Workers’ compensation insurance doesn’t cover any damage that occurs to your property; that is what general liability insurance is for. Ask the roofing contractor to see his insurance certificate, and if you still feel uneasy, call the insurance company for confirmation. The three most important things to know about a roofing contractor before signing a contract are whether he’s licensed in your state, has workers’ compensation insurance, and has general liability insurance. You are less likely to endure a roofing contractor horror story when you check the legitimacy of these three things. The decision you make on hiring a roofing contractor isn’t all about the certifications. You want to hire someone who is good at communicating with you to prevent misunderstandings and frustration. Our motto is “life is about relationships; everything else is just details.” Contact us to see whether or not we’re a good fit for your roofing needs. R-Panel: This type of metal roofing is usually best for homeowners who want the metal roof installed over the existing shingles because it saves them time and money. CF Panel: CF panels, standing for concealed fastener panels, keep the fasteners hidden just as the name suggests. Some homeowners think metal roofs look better without the fasteners in plain sight. CF panels work best for people who want a clean smooth appearance to the roof and are willing to have the existing shingles entirely removed for installation. U-Panel: In most cases, a u-panel metal roof can be attached to the existing shingles, making it a desirable option for those who don’t want to go through the process of entirely replacing the old roof. U-panel metal roofs are usually heavier than the other types because they’re made out of 26-gauge commercial grade steel. Standing Seam: Standing seam metal roofs are the best looking as well as the most expensive. They feature a mechanically hemmed seam every 12-24 inches depending on the homeowner’s preference. There are no exposed fasteners with a standing seam metal roof either. The thickness of metal roofs (gauge) varies depending on which gauge the homeowner chooses. AP Panel: An alternative to the standing seam roof is the AP panel metal roof. AP panel roofs deliver the appearance of standing seam at a lower cost. However, the screws will still show in an AP panel roof. The type of metal roofing panels that you have installed depend on how much you care about aesthetics and whether or not you’re willing to have the old roof removed. 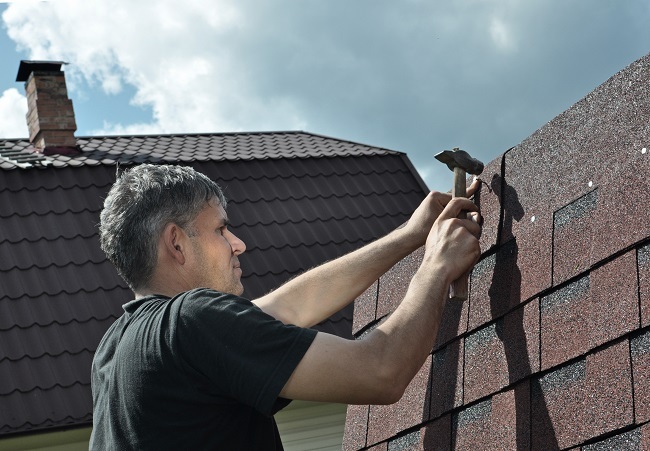 It’s more expensive to replace an old roof, so if your warranty isn’t close to expiring, it’s sometimes a more attractive choice to install the new roof over the existing one. 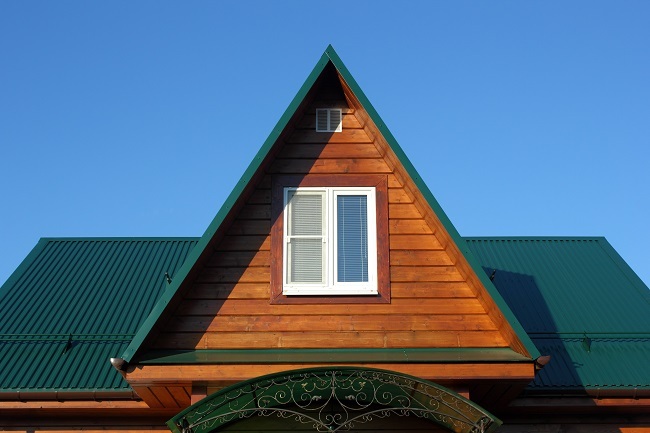 Contact us for more information on metal roofing to find the perfect style for your home.